In 1959, the original location was purchased and transformed from a chicken farm into a car wash. The car wash opened on Saturday September 10, 1960 and was given the name “Somerset Car Wash”. In the early 1960’s a decision was made to expand by adding an Automotive Diagnostic Center. The diagnostic center only diagnosed vehicles but did not handle any repairs, which eventually caused the business to fail. In 1969, Datsun USA approached the owners and transformed the location into a Datsun Dealership. Not only did the dealership sell Datsun vehicles, but they also sold Bugatti motorcycles and Alfa Romeos in the early 1970’s. Once again, in 1974, it was time to expand and remodel. This resulted in a new Datsun Dealership with a fully operational car wash. The dealership took on new management in 1987 when Randy Jones became the managing partner. We also took on the same “Somerset Nissan” in the early 1980’s, which would be our name for the next 30 years. We were quickly outgrowing our current home and so began the search to find a new location to house our ever growing family in 2006. A bid was finally placed for the perfect location and the contract for our “forever home” was drawn up in 2009. The construction for our new state of the art dealership began in late 2010/early 2011. The project was completed and the move in process began. We moved to our current location on July 24, 2012 and changes our name to “Bridgewater Nissan”. 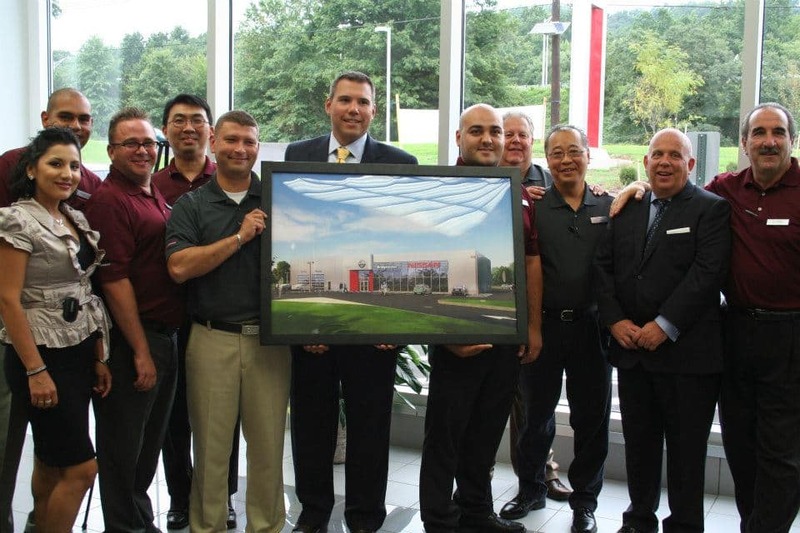 Bridgewater Nissan/Somerset Car Wash is the oldest running Datsun/Nissan dealership in all of New Jersey!